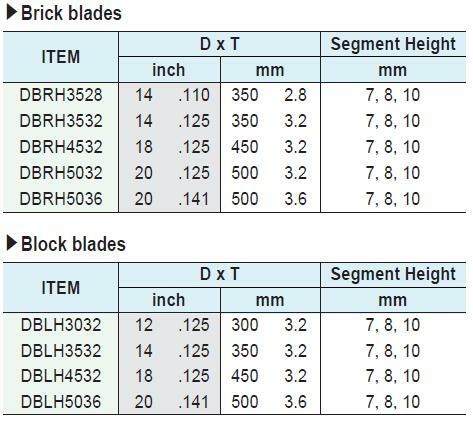 Laser welded dry cutting masonry blades cut a wide range of masonry materials. Provide fast and easy cutting with a constant depth of cut. Premium, Supreme and Ultra quality available. Silent masonry blades are upon request. Bond : Hard, Medium, Soft.